Want to give flowers that will fill your recipient’s home with a strong and beautiful fragrance? We thought you might. Some flowers are more fragrant than others, so if you want to offer an experience for your giftee that’s like being surrounded by fresh blossoms in an abundant garden, you should know which flowers to choose. We’ve given some thought as to which flowers we think are most fragrant and which would make perfect gifts. The following are some of the flowers we came up with. Sweet peas are known for their intensely fragrant blooms. These plants are typically found in vine form, usually from about 4 to 6 feet tall. You can send a small potted vine, or you can ask your florist to send cut sweet pea flowers for you. These flowers come in many colors, including bi-colors. Even tiny flowers can have a big, robust flowers, as is proven with lily of the valley. This nodding bell-shaped flower typically comes in white or pink. Again, you can find this flower in a pot or cut. If you opt for a potted lily of the valley, you’ll surely be pleased (as will your recipient) to know that it’s very easy to care for. Hyacinth offers a sweet, sensual, and refreshing fragrance. This spring flower comes in colors like purple, pink, red, white, and yellow. Its a playful bloom that can convey friendship or budding love. 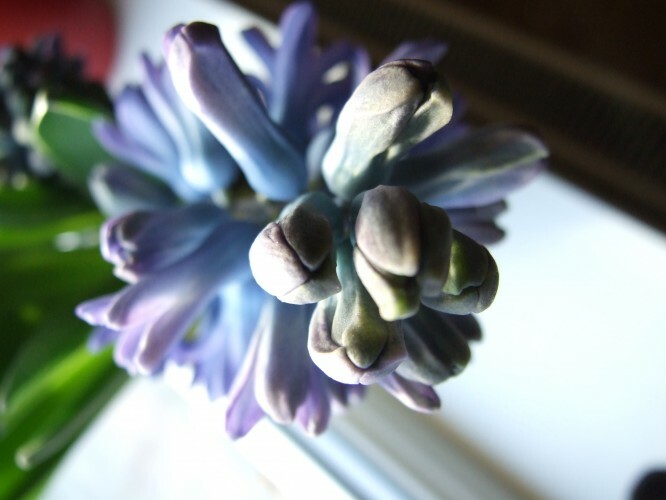 Hyacinth looks lovely packed tightly in a plain brown paper wrap or in a simple vase. These are three fragrant flowers that we love, but they are certainly not the only blooms that give off a provocative and gorgeous scent. We also adore irises, garden phlox, roses, jasmine, heliotrope, and gardenias. If you’re looking for fragrant blooms like these, simply do an online search to see which florists carry these flowers and which will deliver to your recipient’s location. We know that your intended will be thrilled with receiving any of these delicious-smelling floral gifts. May Flowers Flowers to Give Service Providers for the Holidays Inexpensive DIY Valentines Gifts The Right Flowers to Give a Woman on Independence Day (the 4th of July)!